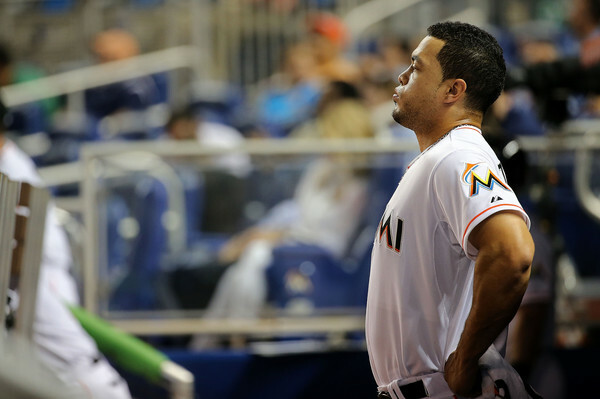 Note to the Marlins – when Giancarlo Stanton homers; especially twice – you should win more often than you lose. The Marlins dropped another one tonight. The headlines are all about Stanton’s 474-foot blast that landed in the camera well in center field; another rarely-reached spot in a park that he’s touched now with a baseball. That blast tied the game at 3-3. Earlier in the game, he hit a blast off Julio Teheran to tie the game at 2-2. It has to be frustrating playing for a 16-20 team that has floundered and underachieved all season. Stanton leads the National League in RBI but the Fish refuse to gel. After a while it just wears on a guy, no matter how many times he makes the SportsCenter Top 10 with his titanic video-game blasts. That makes ten home runs on the season now for Stanton. He’s probably going to keep doing it too. He has 25 home runs of 450 feet or more since 2010. That’s ten more than any other player in baseball in that span of time.